CIYA is facilitated by its operation unit and managed by its by-law, which is upheld by the board of directors, composed of five people. 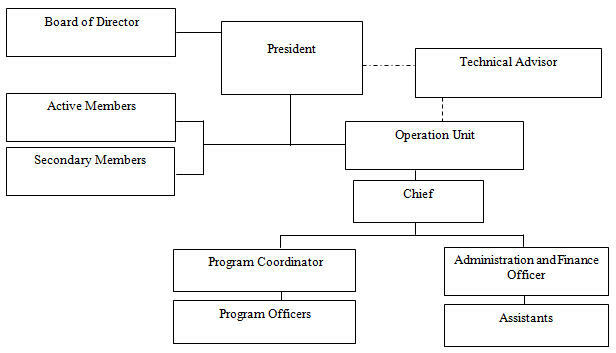 The operation unit which runs the association is run by the management team which includes the President, Program Coordinator, and Program Advisor, Financial and Administrative manager. A policy and internal regulation under the provision of the by-law was developed and approved by the board of directors, in order to provide guidance for the operation unit and facilitation of the association members. In the association policy, the frameworks of the financial issues were determined in order to provide transparency to the staff, members, partners, and donors.